Born and raised into the chocolate making industry, Pete Behringer knew what his destiny in life would be. 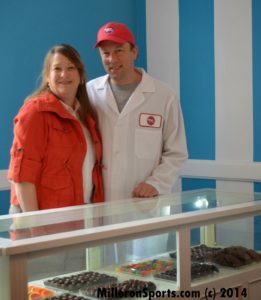 His mother opened her own successful candy business in 1985, which later expanded to 32 different locations and they were able to open their own production facility. Inspired by his mother’s work ethic and determinate, Pete decided to start his own business. After college, he applied his education to further his candy making skills. Pete ended up buying a whimsical home in the Jacksonville area and ultimately ended up becoming a huge hit within the community. The people loved Sweet Pete’s colorful, handcrafted candy pieces. Sweet Pete’s started to receive so much attention that he was asked to appear on CNBC’s The Profit. That way, with the help of Marcus Lemonis, they would hopefully be able to mend their business to make it better. Lemonis shows up to the Sweet Pete Candy Shop and immediately points out that their current location isn’t ideal for a business. They are set up in a sleepy town that doesn’t experience that many visitors. Pete explains that they started this business with hardly any money to their names and this building was their only option at the time. However, they have managed to turn it into a shop that supplies hundreds of handmade candies that the locals love. After trying some of the fresh homemade candy, Pete takes Lemonis back to the severely underwhelming kitchen. There are no freezers or storage units. The space itself is extremely small and incredibly cluttered. It is definitely no place for a person to be running a business out of. Lemonis sees this and knows right away that they are in desperate need of a building that has enough room for Pete and his staff to work both comfortably and effciently. Once the tour of the kitchen has been given, the candy shop begins to fill with young children and parents. Sweet Pete’s offers a candy making demonstration for kids. They learn to pull taffy and make fancy or fun chocolates. It costs $15 per person to attend, but it only costs Pete $2 to show them how to make the candy. This makes for a pretty great profit margin. Lemonis can see that it goes over well with the people and knows instantly that this is an idea they could expand upon. The candy shop makes around $420k a year, but Pete only sees $10k of that because of his poor choice in business partner. 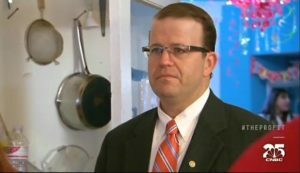 Dane Baird owns the property they are working out of, in addition to also owning 50% of the business. Their relationship as partners is extremely ridged because Dane does not to his part. He hardly ever visits the shop and basically sits back, expecting to make money without really investing any time or money into the business. Pete and Allison know it was a mistake and have attempted to buy him out, but he refuses to sell. When Dane visits the candy shop, tensions run high and they are unable to even speak civilly speak to one another. Lemonis knows that before he can even think of investing in this business, he is going to need to cut off these toxic ties to Dane. Pete has an unbelievable passion for his business. He is a man who loves making candy because he knows it brings joy to other people. However, this business partnership is reigning back his success and happiness. The offer that Lemonis decides to make is for 50% of the business, he will give Pete and Allison $750k. $250k of that will go towards paying the workers and the rest will be put towards setting up a new location. Now, where Dane is concerned, Lemonis is willing to give him the $2k he invested into Sweet Pete’s plus a 5% interest on it. Pete is definitely interested in this deal, but Dane isn’t being agreeable. He wants more than what he deserves, but ultimately ends up giving in and accepting the deal. After making a deal with Pete on the show, Marcus held true to his word and got straight to work. 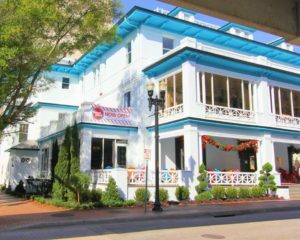 Sweet Pete’s Candy Shop relocated to the Historic Seminole Club in Jacksonville, Florida. Marcus paid for all the renovations of the building and his efforts definitely paid off. Now that the business has more room to hold classes and a properly sized kitchen, they have been doing better than ever. Sweet Pete’s became such a huge attraction that they ended up having to buy the building directly next door as a way to help boost production. In spite Sweet Pete’s rough beginnings and formerly toxic business partnership, the business was definitely able to make a complete turn around with Marcus’s help. Free of their ties to Dane, Pete and Allison have been able to rediscover their love for what they do. 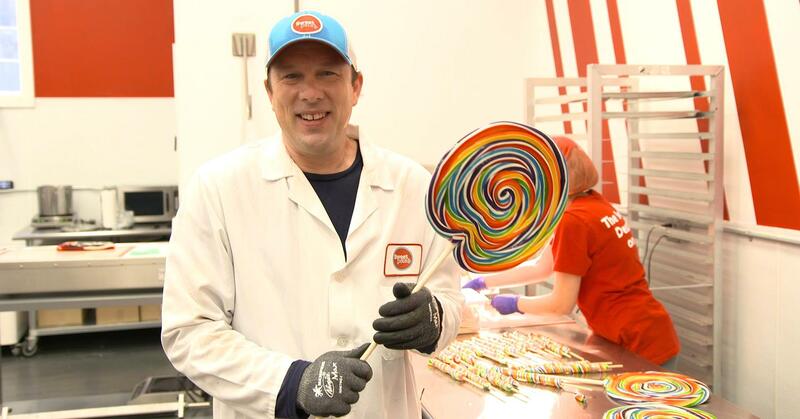 Now that they have enough space and freedom, in addition to the help and support of Marcus, Sweet Pete’s has grown into a beautiful family business that is inspired by a man’s love for candy and making people happy.